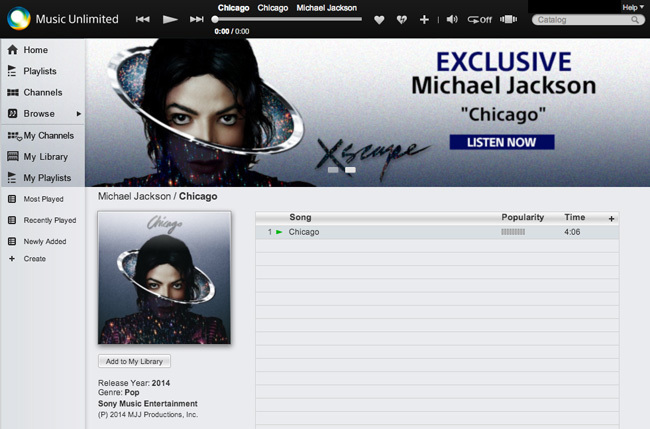 Celebrating the release of Michael Jackson’s new album Xscape. Sony Music Unlimited will stream a new song every day up until the release starting now. Chicago is currently streaming. You can use your existing Playstation account login!